"Blossom and the Beast" is a retelling of "Beauty and the Beast" with a modern spin. 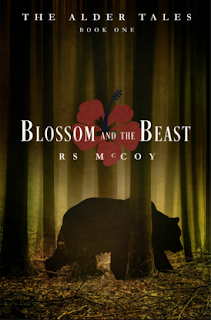 Blossom has spent her whole life in the woods, climbing trees, running wild and unchecked. She's also always been safe and looked after by her three very protective older brothers, who have the capability to transform into bears (their totem). She's nearly 18, and on her birthday she'll have a totem of her own (and the ability to transform into that animal) and she'll be traded to clan leader and saddle with a husband, weather she want's him or not. The decision is taken out of both her hands and her father's when the rising political star of a city clan spies her in the woods and uses both his power and influence to secure her hand. 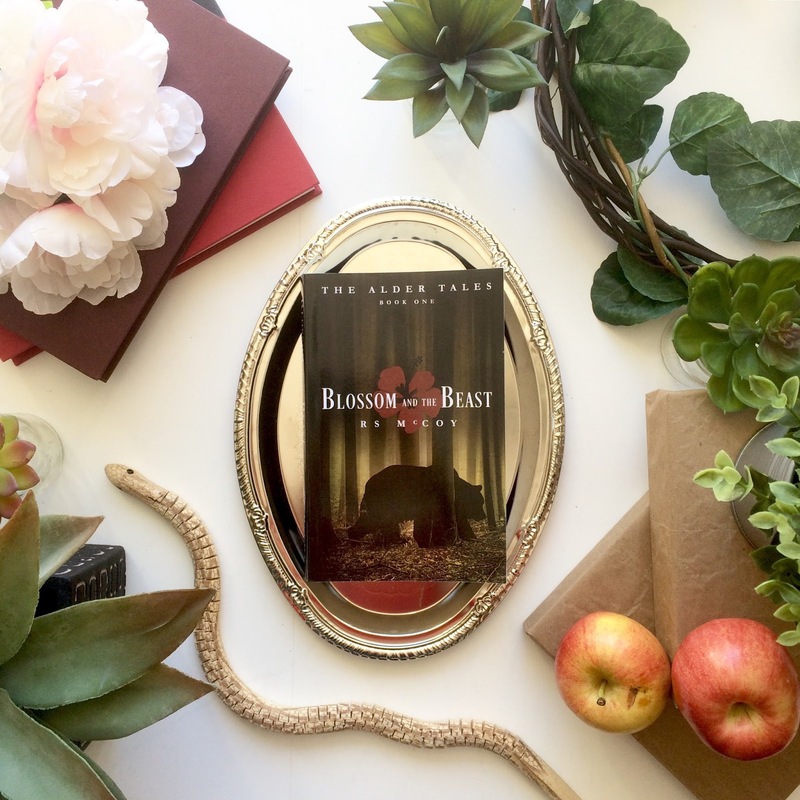 Soon Blossom is thrown into a whole new world more violent and wonderful that she ever could have imagined and the handsome man who has claimed her has a dark secret she's determined to discover before it's too late. The ideas in this story were fun, it was a little bit of a dystopian take on Beauty and the Beast. Blossom (Beauty) and Kaide (the Beast) were both likable characters who showed growth and their banter and slow burning romance was enjoyable. The romance was great, it was heady and strong, but still respectful and the scenes fade to black making it appropriate for a YA audience. There was some good world building and an interesting set up for a series. The story felt a bit long and sentiments were repeated multiple times. Similar romantic thoughts vs. not needing to be protected thoughts, etc. There was a bit of disjointed plotting, one night Blossoms ankle is twisted and swollen to the point where she can barely hobble around and the next day she is walking miles, running and climbing like nothing happened. It was a bit slow moving for me. Blossom spends a lot of time eating and wondering through the market place and doing things that don't really drive forward the plot. The magic system didn't always make sense to me. Some people would shift into weak animals in a fight only to quickly lose, and I couldn't always understand why they would do that. Perhaps there instincts were making them? It wasn't always clear. In the end I thought it was a fun story. Blossom was consistent and it was kind of fun to have a wild girl roaming around a city, remaining free and untamed. Kaide was a wonderful beast, sullen at hidden at times, but kind and wonderful to Blossom even when she didn't always deserve it. There were some sweet friendships, Raene and Blossoms older brothers were great. I think my biggest gripe was that this was a slower moving story which left me feeling kind of luke warm about it. I'm a sucker for fairytale retellings, so I'll probably give the second book a shot but I'm not dying to get my hands on it.